The Tony Awards happened last Sunday night, and as expected, they were full of glitz, glamour, music, and lots of happy crying. As a sort of pre-opening to the opening number, the cast of Hamilton presented a special parody of their song "Alexander Hamilton" dedicated to host James Corden. As expected, Hamilton took home many of the awards, a whopping eleven, but more on that later. I also enjoyed most of the actual opening number, which features Corden taking on many of theatre's most famous roles in mere moments. For the most part, the show went about how I expected it to. I thought The Color Purple would win Best Revival of a Musical, which it did. Although I've never seen the show, the cast presented an explosive medley of performances. The girl who sings last, Cynthia Erivo, took home the Tony for Leading Actress in a Musical, and I can see why. Her pipes are golden. One big highlight for me was to see the cast of School of Rock perform, though the show didn't win any awards. As star Alex Brightman says in the performance, "We aren't here to win, we're here to rock." They certainly do that. The most impressive thing to me about this performance is that all the children are playing real instruments and doing just as well or better than many adults. Now that's cool. As I mentioned, Hamilton won big, but for all the awards they were given and all the speeches made, my absolute favorite was spoken by Renée Elise Goldsberry, who won Best Featured Actress in a musical for her performance as Schuyler Sister Angelica. I found her speech to be beautiful and inspiring. Leslie Odom Jr. also won Leading Actor in a Musical for Aaron Burr in Hamilton. I enjoyed his speech as well. Speaking of Hamilton, the show also took home awards for Best Original Score and Best Musical, among others. Here is the performance from Hamilton with most of the cast. The Tony's were pretty awesome. I also recommend checking out performances from Waitress, She Loves Me, and more. Here is a full list of winners. 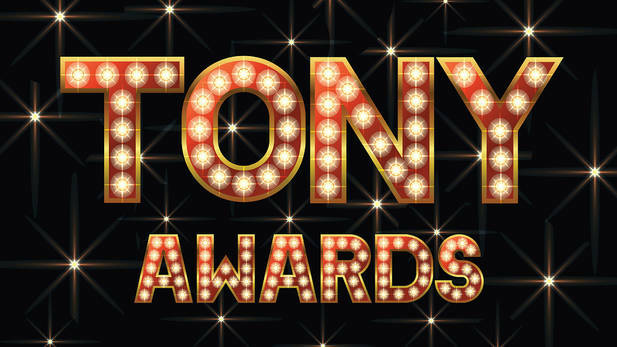 Did you watch the Tony's? What was your favorite performance or moment? AHHH!!! This is all just too awesome! I don't have cable so I've been watching clips from the Tonys. I hadn't seen Renee's speech until just now, and it made me tear up. She really deserved that Tony! It was one of my favorite moments!